Madhatters Voyage Pvt Ltd, which runs a two-wheeler taxi service called Bikxie, has raised an undisclosed amount of angel investment from an investment banker in the Middle East and a businessman based in South India. The funds will be used for app development, expansion in Haryana, and building marketing strategies. The startup was launched this month in Gurgaon, and offers last-mile connectivity to commuters. Currently, Haryana is the only state which allows two-wheelers to ply as taxis. The company had earlier secured seed investment from a private equity professional. The company is founded by Mohit Sharma, an NMIMS Mumbai alumnus, Divya Kalia, a post graduate in Economics from GIPE Pune and Dennis Ching, who has an MBA degree from ITM Mumbai. Sharma has previously worked with HSBC, American Express and ICICI Bank, while Kalia has worked with Boston Consulting Group and Royal Bank of Scotland. Ching worked with Volkswagen Finance prior to launching the startup. 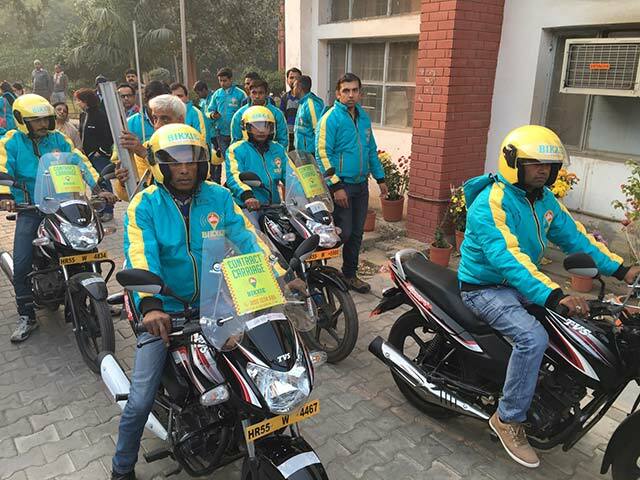 “Now we are looking for bigger rounds of funding which will help us scale up faster to become the most preferred brand in the two-wheeler taxi segment,” said Sharma. The bike taxi segment has been receiving a lot of investor interest recently. Baxi, which runs a bike-ride hailing service, has raised Rs 10 crore (around $1.4 million) in a seed investment round from a clutch of HNIs. Another player, Ace Fenders Travels Pvt Ltd, which runs the M-Taxi app, has received investment from angel investors Mandeep Singh and Jairaj Singh.